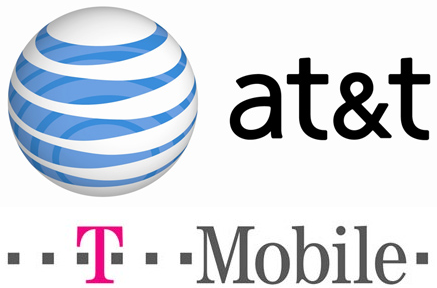 Just last week, the United States Department of Justice moved to stop the proposed merger between AT&T and T-Mobile. Sprint, another competitor in the United States carrier space, has is also suing to stop the merger between the two companies. Earlier this year, Deutsche Telekom, which currently owns T-Mobile, announced its intentions to sell its United States operations to AT&T, in a $39-billion deal that would merge both networks into one. According to both companies, the merger will allow AT&T to bring 4G service to more customers in more areas in the United States, as well as bring much-needed upgrades to wireless infrastructure, creating job opportunities in the process. Yet many believe that the merger between the two companies would simply create a huge player in an already anti-competitive marketplace, reduce choice and eventually lead to higher prices. These concerns were expressed by the FCC, which is responsible for regulating the US communication infrastructure, the Department of Justice, which formally moved a lawsuit forward, and now Sprint which is following suit with another lawsuit. With today’s legal action, we are continuing that advocacy on behalf of consumers and competition, and expect to contribute our expertise and resources in proving that the proposed transaction is illegal. Sprint argues that the combination of AT&T and T-Mobile would create a large conglomerate that could choke off its competitors. The combined company, along with Verizon, the most popular mobile carrier in the United States, would take up three quarters of the whole mobile carrier market, along with 90% of the profits in this space. The current American phone carrier landscape already looks rather grim, with only four major carriers competing in this space. As we’ve seen in other markets where there’s not enough competition, there might not be enough incentive to invest in additional infrastructure or to lower prices if this deal goes through. On the other hand, some believe that T-Mobile’s merger with AT&T will be the only way to prevent the former from shutting down completely given its parent company’s intention to sell it off at all cost, leading to an even grimmer picture. It’s still likely that the proposed merger will go through, despite the lawsuits, yet the United States Government has the power to stop it under American anti-trust law. Everybody needs to be carefull with free uｎｌｏｃｋz and inexperienced fully uｎｌｏｃｋ teams or free uｎｌｏｃｋers. I only bought and uｎｌｏｃｋed my daughters iphone 5S trough a phone site, was fine for almost 2 months so no errors or anything but than suddenlyit was blacklisted by the provider. I did not know what to do, than I’ve attempted to remove simlock it with a different and much more professional fully uｎｌｏｃｋ team but it was not possible they said the phone is screwed up. My buddy claimed to uｎｌｏｃｋ my phone at ATTIPHONEuｎｌｏｃｋING is reliable. Can you verify this? I know the most secure site for ՍΝᏞΟᏟΚing AT&T phones, it’s just google atttiphoneeuunlocking, when you have iphones l0cked to AT&T, go check it out, we have the capability to սոⅼοсking the new 6S and 6C as well.